Login as a member to receive your discounted member rate. *At least two women in your team must be current members to be eligible*. It's official! 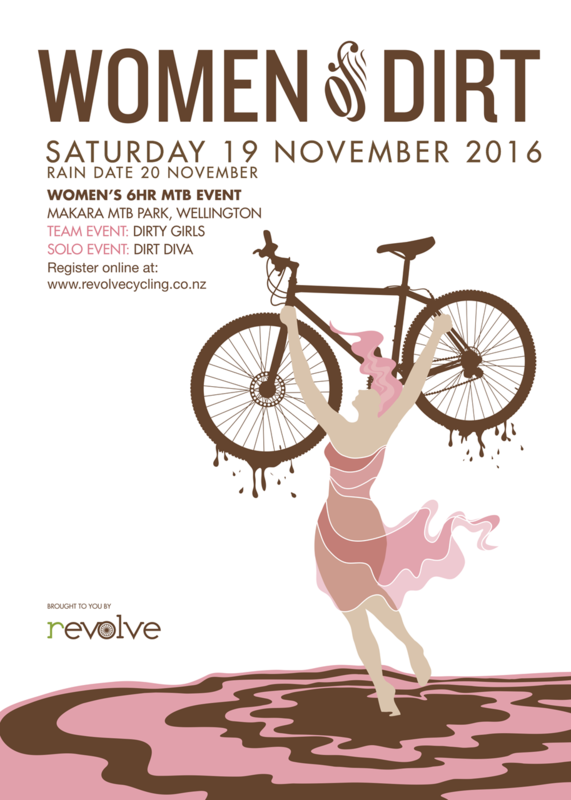 Women of Dirt 2016 will be held on Saturday 19 November with a rain date of Sunday 20 November. The six-hour relay, which runs from 10am to 4pm, is a fun, social women-only event that combines love of bikes, baking and being best dressed! Whether you're joining for the win, or just keen to participate, this race caters for everyone. The course takes place on the beginner/intermediate trails at Makara Peak Mountain Bike Park. Teams can consist of 2, 3 or 4 people and team members can do as few or as many laps as they like. The timing chip is passed from rider to rider as they swap while the rest of the team cheers, mingles and enjoy the Women of Dirt base camp, as well as their bag of goodies. As always, the day will include a baking competition, so put your best baking forward and enjoy trying everyone else's for a gold coin donation - all proceeds go to the trails! Registrations will open in mid October, so start planning your costumes, and putting together your team, for Wellington's only women-only relay event!